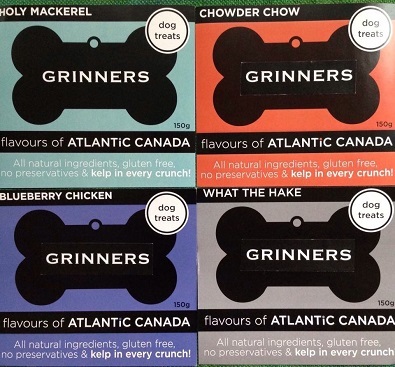 Grinners Dog Treats | Halifax Seaport Farmers' Market Ltd.
Grinners Dog Treats are inspired by the traditional whole foods of Atlantic Canada. Our baked treats feature locally fished or farmers foods, blended with the whole grain goodness of oats, protein punch of buckwheat, eggs and a rich sprinkle of Nova Scotian kelp. Your dog will love the rich aroma, satisfying crunch and great taste of Grinners.